You might think that a fine dining experience is all about the food, but it is much more than that. From the moment you step into a restaurant, or the venue, your mind is subconsciously picking up on little clues. How attentive are the waiters? What do the tables look like? Are the glasses sparklingly clean? Is the table cloth stained? All this and you haven’t even looked at a menu yet! 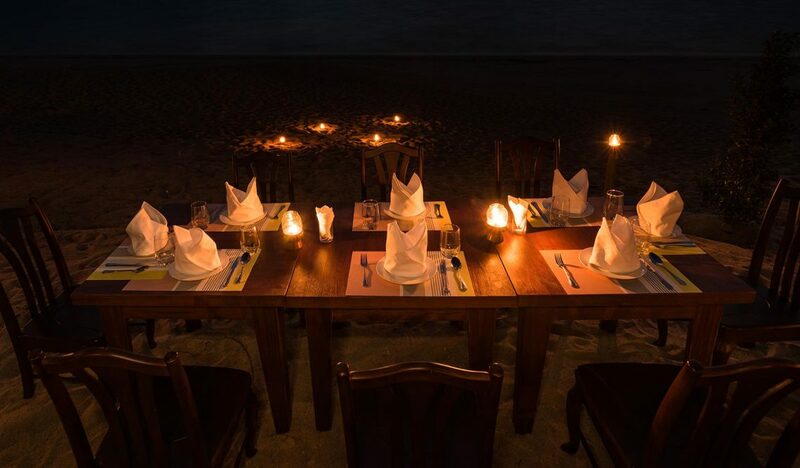 Of course, the food is important, but we are suggesting that you should not forget all the extras such as the cutlery, crockery or the linen. High quality cutlery makes the difference between enjoying a good meal and struggling with your utensils. Imagine dining at a Michelin starred restaurant and being offered plastic knives and forks? It just would not happen, but many people forget the effect cutlery can have on a meal. Good cutlery makes you concentrate on the actual food. Exquisite cutlery can make you appreciate your meal even more. It can enhance the whole experience, elevating it from the mundane to the finest. 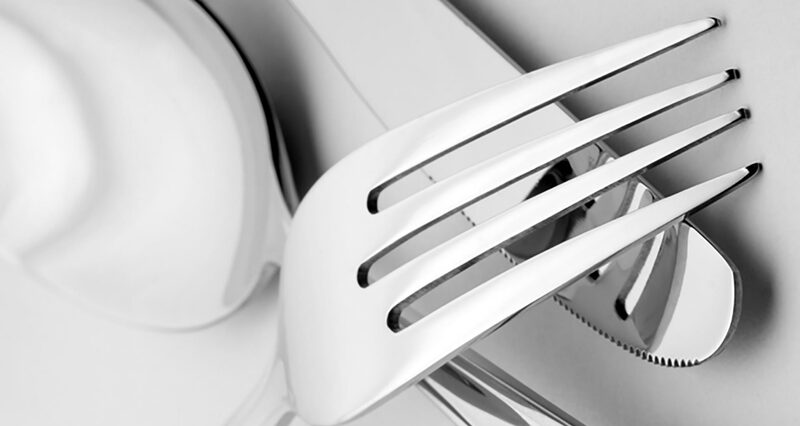 If you are looking for superior utensils for your event, you might be interested in our new Linear Range. Beautifully crafted from the finest stainless steel and perfectly weighted to feel naturally balanced in the hand. You wouldn’t expect to be served the best food on paper plates when eating out at an expensive restaurant would you? So why would you offer inferior crockery to your guests when planning an event? Providing the best crockery shows your dining guests you care about their dining experience. We can provide crockery for all kinds of occasions, from children’s parties to a posh dining experience. Our latest addition is the Lubiana range, made up of pristine, stain-proof porcelain, created with a contemporary edge that would suit all kinds of prestigious events. Adding linen to your party is often viewed as an afterthought but they can absolutely transform your event. Not only do they give an expensive look and feel, but you can use them to add style, a theme and glamour. 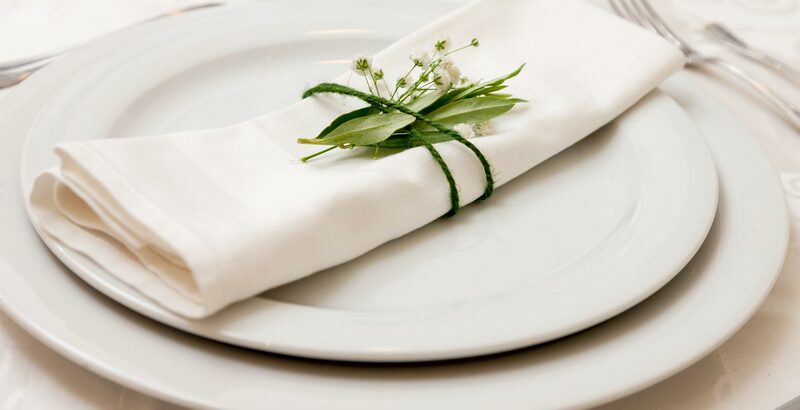 Linen is particularly useful if you want to create a fine dining experience because it instantly provides a backdrop, a canvas if you will, for you to add on the accessories, such as cutlery and crockery. The great thing about linen is that the most ordinary table can be transformed with gorgeous table cloths and beautiful napkins. To give an air of opulence and luxury, we suggest using crisp, white table cloths and then adding texture and colour by using table runners in brocades, jacquards, or embellished prints. Carry on the colour theme by adding napkins in a slightly deeper or lighter shade from the same palette. If you need any supplies to make your fine dining experience go smoothly, give a call or email.